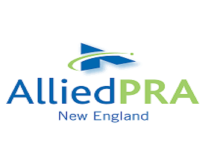 AlliedPRA New England is the Destination Management Company that event planners turn to when implementing a program in the Northeast. We are the comprehensive local destination experts for everything from décor and theme development to off-site venues, unique excursions and transportation. Our expertise and strong relationships with our supplier partners save our clients time and open up a world of memorable experiences that they wouldn’t’ otherwise have access to. What sets us apart from other DMCs is our vast experience within the hospitality industry, professionalism, global network, creativity and a streamlined system that is over 30 years in the making. Our goal is to make it easy for groups meeting in New England to have a successful, unforgettable event.